John E. Atwood, President of PAST, INC., also serves as our Contracts Administrator and Project Archaeologist. 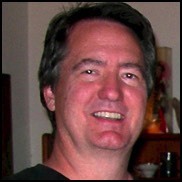 John has been active in California archaeology since the early 1980s. He received his Bachelor of Arts degree in 1984 from California State University, Northridge (CSUN). From 1984 to 1987, John worked at CSUN as a Staff Archaeologist as well as an independent field technician for a couple of different archaeological consulting firms where he gained valuable experience on all aspects of the archaeological evaluation process. From 1989 through 1994, he served as the Vice President of another archaeological consulting firm where he headed up their Valencia office. In 1995, John, along with Barbie Getchell, established Pacific Archaeological Sciences Team (P.A.S.T.). In 2003, P.A.S.T. changed its business organization to become PAST, INC. Overall, as a project archaeologist and manager, he has been responsible for the successful management of more than 2 million dollars of archaeological research funds. John has participated in more than 360 archaeological projects and has authored over 330 cultural resource management reports. His regional experience includes survey, testing, and monitoring projects in Imperial, Inyo, Kern, Los Angeles, Orange, Riverside, Santa Barbara, San Bernardino, San Diego, San Luis Obispo, and Ventura counties, as well as on Santa Catalina Island. John's interests include computer applications and photography. Barbie Getchell serves as the Principal Investigator for most of our projects. Ms. Getchell is certified in field research by the Register of Professional Archaeologists (RPA) and meets the current Secretary of the Interior Standards for archaeological research. Barbie received her M.A. degree in History (archaeological emphasis) from the University of Durham in the UK and her B.A. degree from the University of California, Los Angeles (UCLA). She is well-versed in all aspects of the archaeological evaluation process including prehistory and historic studies. Her experience in the field includes testing, surveys, and monitoring projects in, Kern, Los Angeles, Orange, Riverside, San Luis Obispo, Santa Barbara, and Ventura Counties, the Tahoe National Forest, and Santa Cruz Island in California as well as projects in Idaho and Nevada. Work experience abroad includes archaeological projects in Belize and the United Kingdom. Michael Miller is an associate of PAST, INC. He has worked in cultural resource management for over 10 years and is a registered professional archaeologist (RPA). He has performed and supervised field work from survey to data recovery mitigation under Section 106 of the NHPA, managed lab collections, coauthored numerous reports, and has served as a Principal Investigator for several archaeological projects. Michael specializes in lithic analysis including microwear analysis, mass analysis, and experimental replication. Mr. Miller received his B.A. degree in archaeology from the College of Wooster in 2002, and his M.A. degree in experimental archaeology from the University of Exeter in 2006. He has field experience in the Midwest, Mid-Atlantic, Southeast, Southwestern, and Western areas of the United States.